May | 2014 | "It's Only Nuts & Bolts"
Seven weeks gone in a flash! That’s how long I have been here in Sydney and it is very difficult to believe it is over all ready. 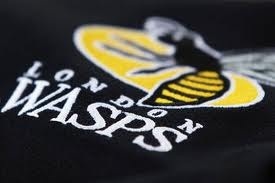 In a short while I will be heading to the airport and starting the long journey back to the UK. If you have been reading my posts over the past few weeks – thanks very much for doing so – you will appreciate just how much I have enjoyed travelling around and seeing different places both in Sydney and the surrounding area. The best? The Rocks and surrounding districts – I love the area, the feel, the architecture, the history. 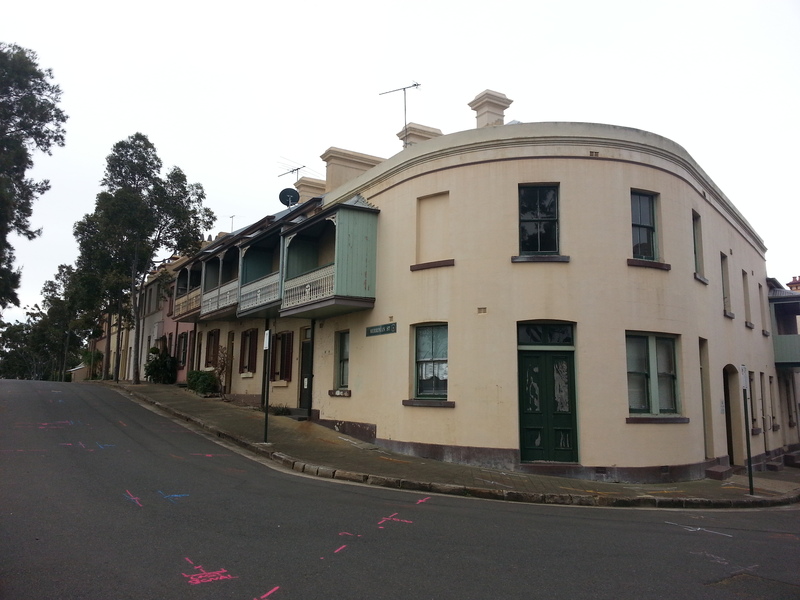 For me this part of Sydney has everything; the history is there to see in the streets. It is so easy to image the convicts being taken off their ships and then marched through the streets up to Hyde Park Barracks. I will be back one day, whether with work or on my “Big Overland Adventure” I don’t yet know; but I will be back! Thanks Sydney, it’s been a blast! Well it’s nearly done! Only one more weekend in this beautiful land down under and so I have to make sure that I get those last few things done before I leave as I don’t know when I will be back. But one thing is for sure, I certainly plan on coming back and seeing a whole lot more of this wonderful country! Sydney for a few drinks tonight. Sydney Museum and Paddys Market Saturday. Sydney in the sunshire on Sunday; hopefully. I wonder how it will actually pan out? I met the guys in the Opera Bar, underneath the Sydney Opera House and had a drink there before moving on to the Glenmore Hotel, which has a fairly elevated position in The Rocks. 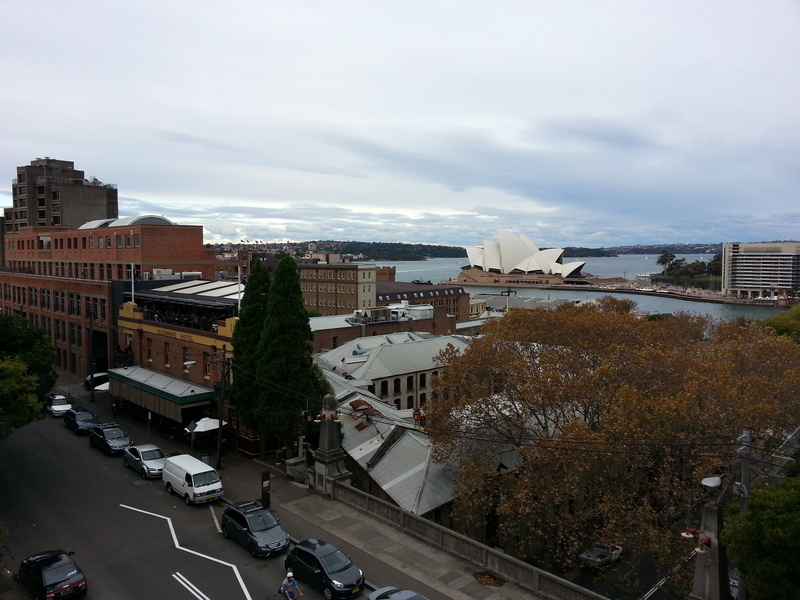 From their roof terrace you get spectacular views out across Circular Quay to the Opera House beyond. Some food and a few drinks ensured a great night was had by all. As I finally got back to the hotel about 1am, my Saturday morning was delayed into the afternoon and so my plans for the day were somewhat curtailed! When I was ready I set off for the train only to find that due to engineering works the trains had turned into buses. Most people who know me are aware that I don’t do buses. I hate the fact that I don’t know the routes or which stop they are at; but I was brave and ventured on the the train replacement service. The bus was packed, but free which I was surprised by. Are train replacement services fee in the UK? From North Ryde I got the bus to Chatswood; end of that service so I knew where I was. Then I got the express bus to Wynyard; only one stop so again very easy. Then I walked to Paddys Market and bought the last few gifts that I wanted for people back home. After the market I took a stroll round Darling Harbour, up through The Rocks and surrounding districts and then back down through the street markets to Circular Quay. The Rocks really is a stunning and, for me, evocative place. The history of Sydney is right there for all to see. 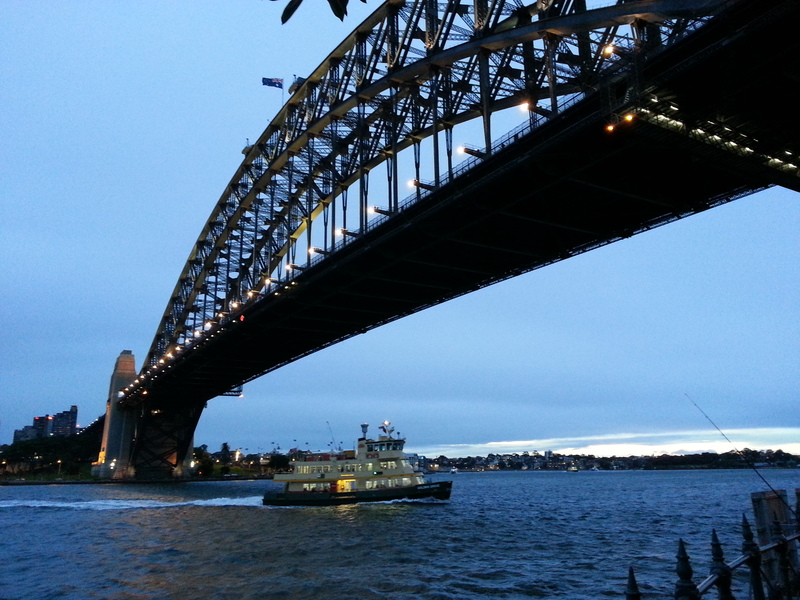 By this time it was getting late and so I decided that I would walk across the bridge to Milsons Point, a place I had been meaning to see for a few weeks. The views from Sydney Harbour Bridge are, as you would expect, amazing, especially as the sun was beginning to go down so all the city lights were coming on. The harbour was a non-stop buzz of boats, small and large, heading off in all directions. Looking up as you crossed you can see all of the bridges bones exposed. 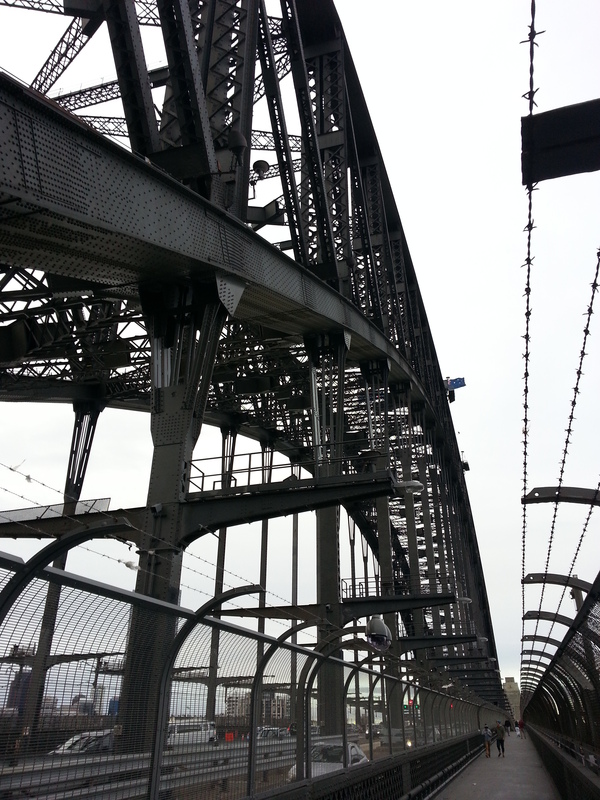 I found a cafe in Milsons Point to get something to eat and then walked around the water front, under the bridge and past Luna Park, Sydney’s very own amusement park. Finally it was time for the return bus journey which was just as straight forward as the one out. The sun was shining bright when I got up so I deceided to head for the caravan and camping show which was being held at a race course on the way to Parramatta just past the Olympic Park. I spent the majority of the day looking at different forms of off-road accommodation from caravans, to campers which fit on the back of a pickup, to adventure trailers with tents and cooking facilities all fitted. I wonted to get some idea of what was available for when I come back to Australia for by “Big Overland Adventure” but I think it is safe to say I left more confused than when I arrived. What was very clear was just how important this form of holiday still is in Australia; the choice available was mind blowing. So that was my last weekend of this trip, but there are still a few more days to go. One of my aims in life, which I have become more focused on in the last few years, is that Big Overland Adventure. You know, that REALLY big one! It has always been in my mind that the location would be Africa, possibly London to Cape Town as that conjures up all the amazing thoughts of travel and historic expeditions. Traversing Europe, into Africa via Morocco or Egypt and then down the continent through all those countries you have seen on the news and never thought that you would actually see for real. But I think my experience of Australia has changed all that. I know I have only really seen Sydney and the immediate area, but what I have seen and experienced has ignited a wish for more. Programmes on the telly where guys drive huge land trains through the outback have also added to this need. This continent has so much to offer with each major city and state so completely different from the rest, with mountains, rain forests, deserts, lakes, rivers; Australia has it all! With this in mind I have done some research on line and almost my first stop was a brilliant website, www.australia.com, which is full of places to go and things to see. 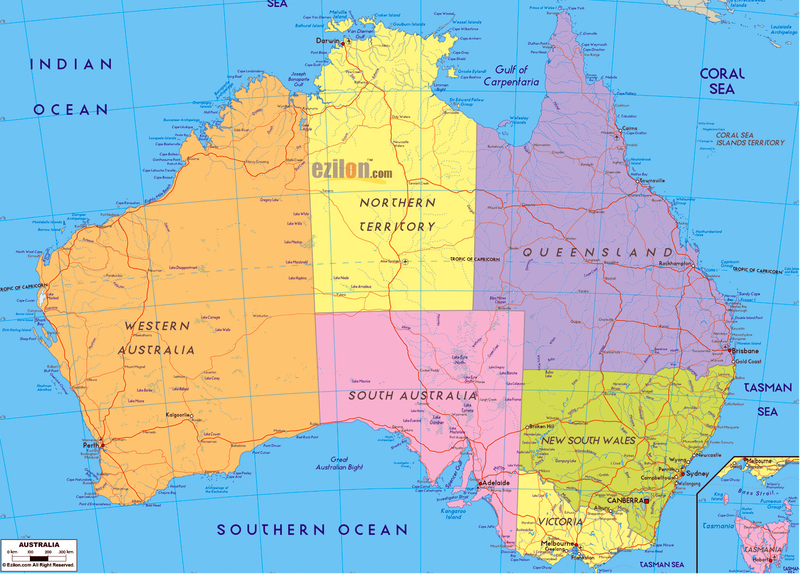 If by any chance you are planning a trip down under I cannot recommend this site enough.